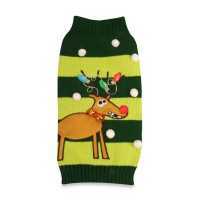 Your pup will be ready for this festive season dressed up in the Holiday Reindeer Dog Costume. 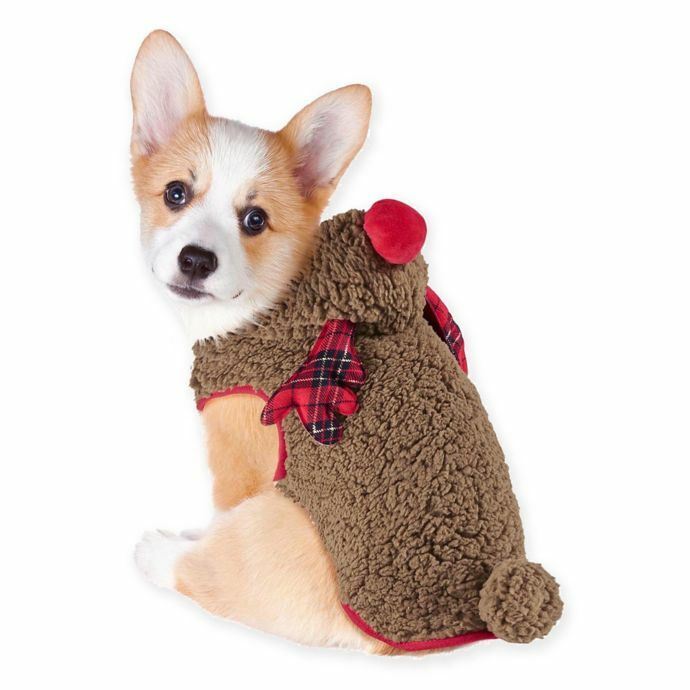 This costume is padded for comfort and has 3D detailing that will be a hit with Santa Claus. Sewn red nose on hood. Only non-chlorine bleach if needed.